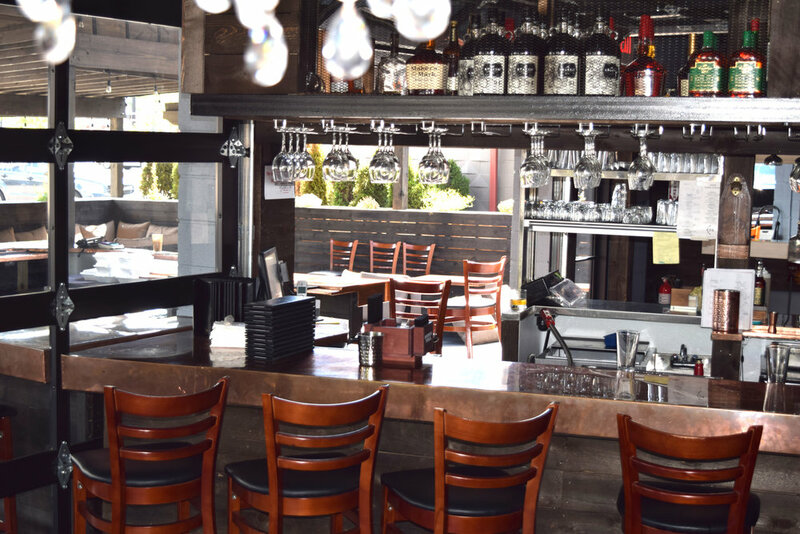 Located in the heart of clawson, michigan, 54 west your neighborhood bar with unique bites, crafted cocktails, and attentive service. 54 West is located at ... you guessed it! 54 West 14 Mile Road, in the heart of downtown Clawson! 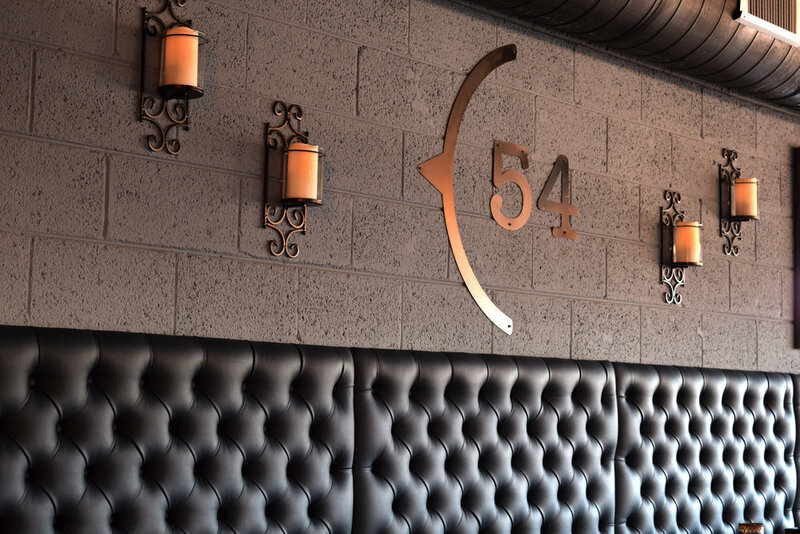 Make 54 West in Clawson your go-to spot to Relax— Drink— Eat. 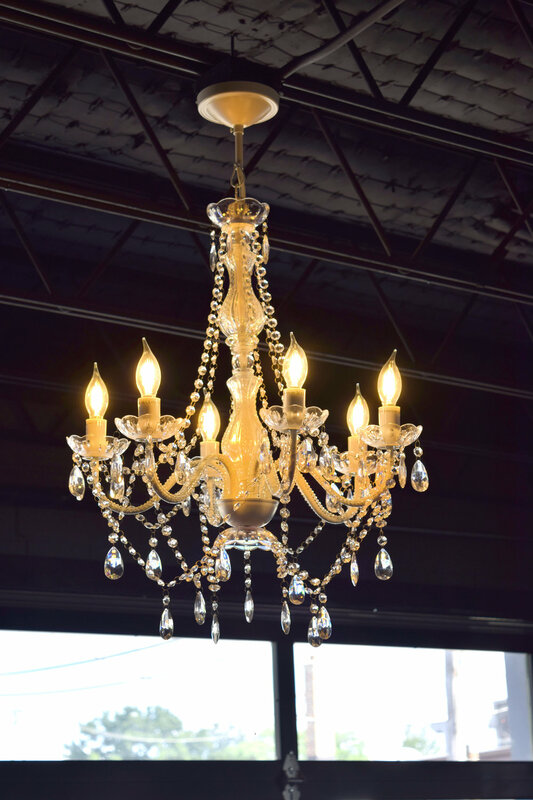 The refined interior boasts a unique copper bar, wooden walls, and sophisticated tufted booths along with elegant crystal chandeliers. 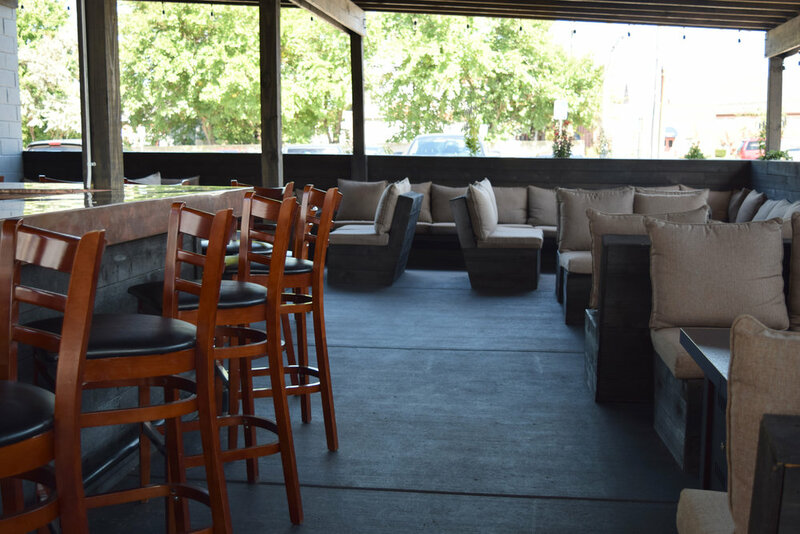 Outside, the extensive patio is an oasis of serenity closed in with a rustic fencing and landscaping to keep out the fast-pace of everyday life. 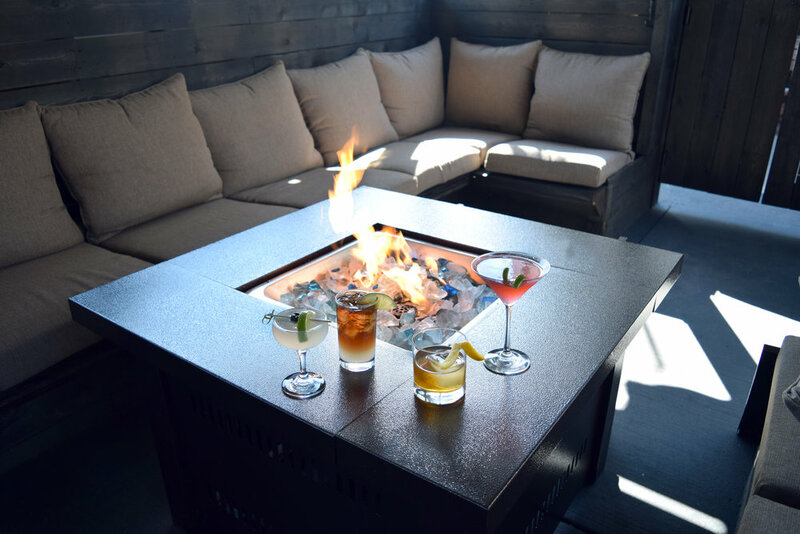 The copper bar continues outside as pergolas above shade you for a relaxed experience, and comfortable lounge seating surrounds several fire & ice pits and tables. Whether inside or outside, you can enjoy a hand crafted cocktail mixed by our friendly and experienced mixologists. “Craft cocktails” are cocktails that focus on flavor and high-quality ingredients tailored specifically for your drink. You will see drinks served in custom glassware, poured over custom ice cubes, mixed with house-made syrups and finished with a dash of small-batch bitters. You might see traditional spirits used, but you also might see unexpected barrel-aged liquors that are prepared by bartenders and other unusual flavor combinations. Craft cocktails may take a little longer to make, but the experience will be memorable! Whether simple or complex, the results are quality cocktails that are made with a lot more care than your usual mixed drinks and deliver a more satisfying experience. Our food menu incorporates a variety of specialty dishes that can be shared...or kept all to yourself! Our experienced and passionate chefs pride themselves on using fresh, quality (and local, when possible) ingredients to create unique dishes to please every palate. While Clawson is a small city, at 2.2 square miles, it has a huge heart and a very loyal, supportive community. Recent estimates suggest Clawson has about 12,000 residents, but people come from cities near and far to enjoy the city's events, like the tremendous 4th of July festivities that began in 1933! The city also hosts a farmer's market, Cinema in the Street, an annual car show, the Fire & Ice with Spice festival, Trick or Treat Trail Halloween event and much more! We are closed Mondays in the winter months. Historical photos of 54 West Building: Clawson Laundry Land, Hammond-Lyons Insurance, Brown Bag It, recent years, just before Mojave Cantina and 54 West construction. Battered and fried chicken strips served with fries. ½ Pound Black Angus beef, Muenster and cheddar cheeses, lettuce, tomatoes and our signature mayonnaise sauce on a grilled bun. Two handmade egg rolls stuffed with chicken, bacon, avocado, tomato, Muenster and cheddar cheeses. Crispy corn chips topped with Muenster and cheddar cheeses, refried beans, tomatoes, scallions, black olives, jalapeños, sliced avocado, and drizzled with sour cream. Mix of jalapeños, potato and cheese lightly battered and baked in our oven. Fries topped with chorizo, Muenster and cheddar cheeses, jalapeños, tomatoes, scallions, and sour cream. Oven baked in bite size pieces. Jumbo deep fried chicken wings, tossed in spicy buffalo sauce. Served with homemade chipotle ranch dressing. Made with fresh avocados, jalapeños, tomatoes, onions, cilantro, and lime juice. Fresh avocados, roasted grape tomatoes, jalapeños, onions lime juice, crumbled bacon, and chipotle pepper. Hot cheese dip mixed with peppers makes this appetizer perfect for dipping! Queso dip, Mojave guacamole, and choice of pico de gallo or verde salsa. Fresh mixed greens, tomatoes, onions, pepper blend, cucumber, black olives, Muenster and cheddar cheeses served in a fried flour tortilla bowl. Homemade chili with ground beef, beans, tomatoes, onions, peppers, topped with Muenster and cheddar cheeses, sour cream and tortilla strips. Cheesecake wrapped in crispy flour wrap drizzled with chocolate raspberry sauce, cinnamon sugar and whipped cream. Served with vanilla ice cream and drizzled with chocolate syrup and caramel sauce. Breaded vanilla ice cream drizzled with chocolate, honey, and cinnamon sugar and whipped cream. 54 West and Mojave Cantina are always looking for friendly, hardworking, and motivated staff! Please click >HERE< and download our employment application.